Thanks for visiting us at the show! 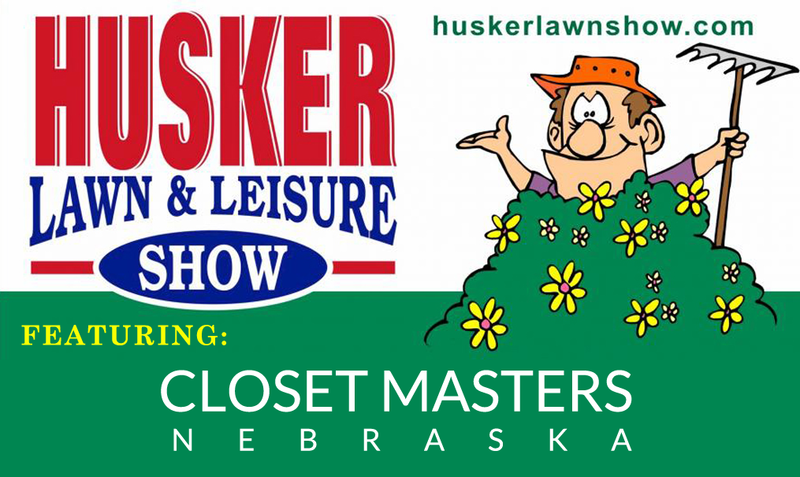 We were so excited to be apart of this years Husker Lawn & Leisure Show, and so thankful to all of those who had a chance to visit us at the Closet Master’s Nebraska booth and support local Nebraska Business. This annual event is full of local vendors and exhibitors with incredible displays, unmatched variety of exhibits and a family friendly atmosphere. 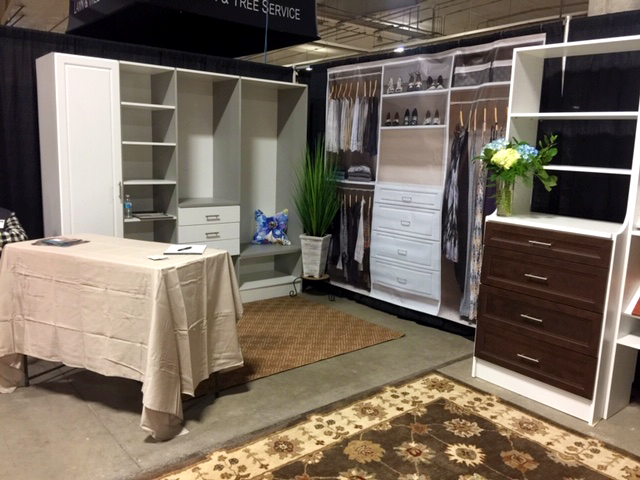 Closet Master’s Nebraska had a great weekend sharing all of our storganization solutions and giving you the perfect head start on spring cleaning! With custom designed and professionally installed storage and organizations systems, your whole home can be beautifully organized. With Nebraska Closet Masters, homeowners can spend less time looking for the things they own and more time doing the things they love. Best of all we are located locally in Lincoln, NE, and we provide a quick easy resource for ALL of your closet and storage needs. Help us to continue to support our community and local business and together we can keep your closet clean and Nebraska Strong! Thank you again to the Husker Lawn & Leisure Show for hosting us and all of the amazing people we had a chance to meet over the weekend! Here’s to taking care of your community, and the things you love! Our next event will be the Home Builders Tour of Remodeled Homes in April! Stay tuned for more info!! Come See Us! Storganization for the whole home! Join Us March 8th, 9th and 10th at the 2019 HUSKER LAWN & LEISURE SHOW at the Lancaster Event Center! 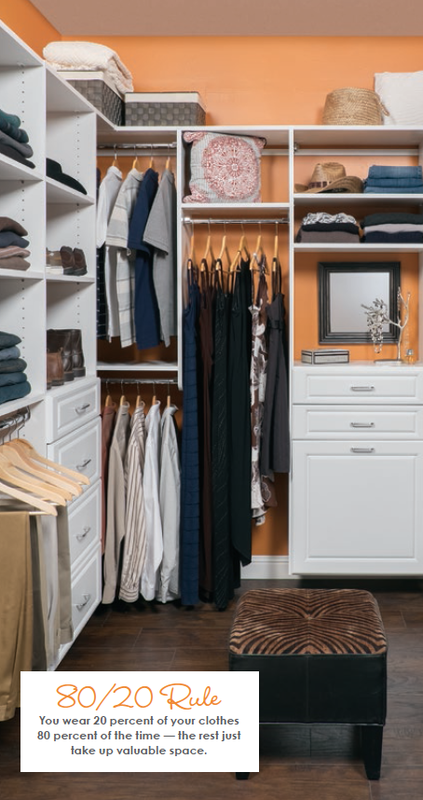 Find out all the ways Closet Masters can give you beautiful organization throughout your home! When you take care of the things you love, as a result, you’ll find you have more time for the people you love. From Kitchen’s to Closets, all the way to the Garage, Closet Masters has the solution for all your storage and organizational needs! Now your whole home can be beautifully organized. With custom designed and professionally installed storage and organizations systems from Closet Masters Nebraska. Lets get that spring cleaning done right! Click Here for all Event Details! We can’t wait to see you in March! Start with a large garbage container and several boxes for usable items you no longer need. This is the time to be brutal. Yes, you paid more than you should have for your son’s skateboard but he hasn’t ridden the thing in two years. Donate it. You know that screw driver you acci-dently left out in the rain and is now rusted beyond hope? Throw it away. All of those scraps of wood, PVC pieces and hinges you saved “just in case” have been taking up space for five years. Give them to a repurpose building supply store such as Stardust. Once your garage is free of all that clutter, you can reevaluate your space. Dedicate a place for tools, a place sports equipment, a place for lawn maintenance items, etc. Think about the things you use most often and create a space that is easily accessible. If you have high ceil-ings, overhead storage racks are a great way to store seasonal or bulky items. 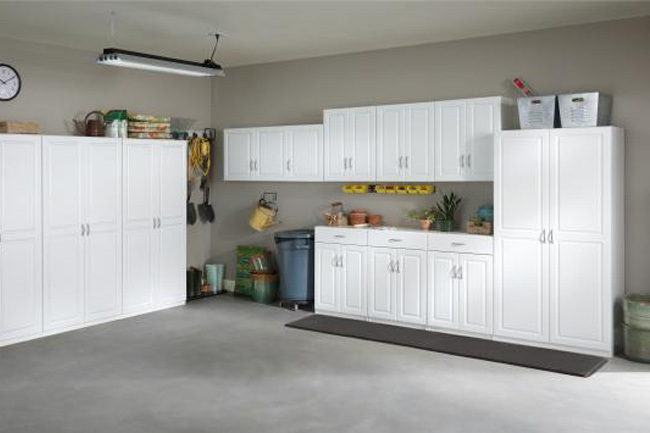 After you have your garage mapped out, you can begin to determine what type of storage systems you need. From plastic bins, to shelving systems and cabinets, to wall mounted storage systems and overhead racks, there is a solution to fit your unique requirements. While many options exist, be sure to invest in quality storage systems. Your garage takes abuse on a daily basis and is exposed to harsh environmental conditions. Included in this guide are features to consider when choosing what will work best for you. 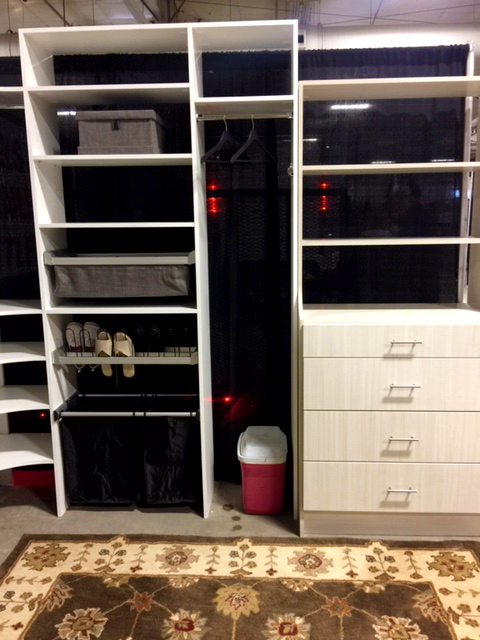 Stay Tuned for next Month’s Blog – Storage Systems to Reclaim Your Garage! CONTACT CLOSET MASTERS NEBRASKA TODAY! Fold clothes when they emerge from the dryer, iron them while they’re still slightly damp, and take clothing up to the bedroom if you’re going there anyway. If your clothes are wrinkled when you remove them from the dryer, use the appropriate hanger from the closet but hang the garment out to air and “de-wrinkle.” Staying on top of laundry is much easier when the clothing items are returned to where they belong immediately after being washed. Remove clothing from dry cleaner’s plastic bags and transfer them to your personal hangers when you put them away. The plastic bags can damage clothing if used for longterm storage, and wire hangers can cause clothing to lose shape. Maximize closet space by storing running shoes and outerwear, such as jackets and sweatshirts, in the closet near the front door or entryway. Space under the bed, or in the garage or basement, works best for seasonal and long-term storage of sentimental items. If you have a hard time deciding what to get rid of when it comes time for seasonal closet cleaning, simply turn all of your hangers the opposite direction at the start of the season — when you wear an item, flip your hanger. At the end of the season you will know what to keep and what to donate, making space for next season’s purchases. Now all of your closets can be beautifully organized. Need More Organization Help? Contact Nebraska Closet Masters today! FASHION DOUBT? THROW IT OUT! Rid your closet of clothing that you swear will someday be back in style, but you wouldn’t be caught dead in today. Even if similar styles come back, the materials and color combinations are never quite the same. Donate these items! USE IT OR LOSE IT! Just ask yourself, “If it’s too good to get rid of, why am I not wearing it?” If you don’t feel confident and comfortable wearing it, or it no longer conveys the image you wish to present to the world, get rid of it. STILL GOT A TAG? THROW IT IN THE BAG! We’ve all purchased an item that looked great in the store, but later realized it looked better on the hanger. Take it to a consignment store or give it away. BUTTON LOST? GIVE IT A TOSS! Store clothes that need repairing or altering in a separate location. Make repairs a priority. BIG OR SMALL, NO GOOD AT ALL! Do you have one wardrobe for before the diet and one for after? Keep clothes that you believe may fit in the next year (be honest! ), but remove them from your primary closet. MISSING ONE? THAT’S NO FUN! 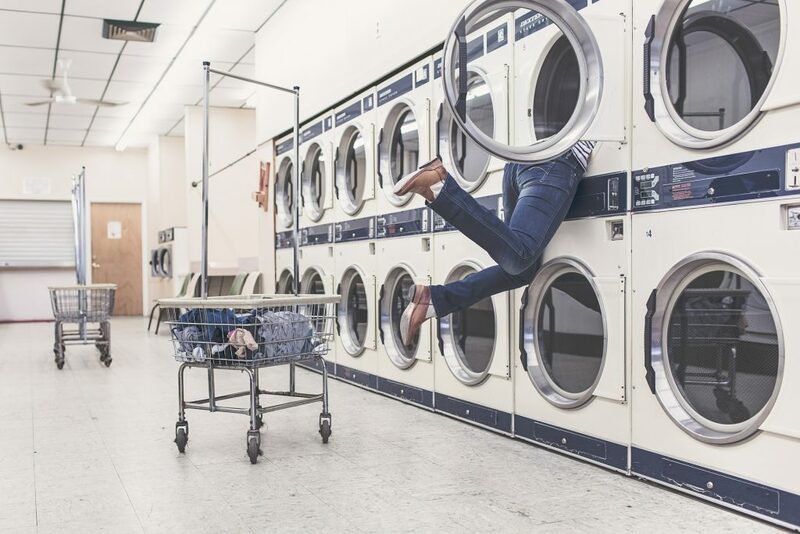 Did your dryer eat another sock? Still looking for that missing glove? Stop fooling yourself — get rid of orphaned items! OUT OF SEASON? IT’S CLOSET TREASON! Store out-of-season clothing in labeled boxes somewhere else. ARE YOUR SHOES SINGIN’ THE BLUES? If the toes are curled up or the surface is too scuffed — even if you spent a bundle on them — get rid of them. The same applies to purses and other accessory items. SENTIMENTAL? THE SOLUTION’S ELEMENTAL! If it makes you happy and gives you pleasure, it’s not junk. So keep your letterman jacket, wedding and/or prom dress, but store it in a labeled box elsewhere. OVERFLOW? SOMETHING’S GOT TO GO! The best way to avoid clutter is to get rid of one old item every time you add a new one. If purses are your passion, choose a sensible number of them to keep — and stick to it. Follow these steps to create a space where things are easy to see, easy to reach and easy to keep clean! Now that they’re grouped for easy match-ups, file by color light to dark, then again by sleeve length and casual versus dressy. Hang everyday items on space-saving, non-slip velvet hangers. Use heavy, shaped hangers for suits and jackets. Make sure all clothing and hangers face the same direction. Separate your suits and outfit pieces — this allows you to see more coordinating combinations. Fold sweaters (to maintain shape), T-shirts and jeans, and store them on open shelves in the shelf tower where they can be seen. If you can’t see it, you won’t wear it. Fit more shoes on each shelf by alternating the toe heel direction. Sort shoes by height and adjust the shelves accordingly. For men’s dress shoes, invest in shoe trees. Shoe trees extend the life of your shoes by holding their shape (and cedar shoe trees help eliminate odor). Label out-of-season storage containers to ensure you find items easily between seasons. Keep a bag or basket in your closet for when you find items that don’t look good or no longer fit. When the basket is full, donate the clothing. In kids’ closets, try using labels to teach your children to put things where they belong. If they’re too young for written labels, use pictures instead.